It was 4:30pm as we packed into the Outback to begin our short drive south into Franconia Notch. The sun was nearing its final descent and the afternoon clouds had socked-in the last remaining bits of blue. Behind us we left the Badass Outdoors nerve center - a two-story, no-holds-barred gear shop on the banks of the Ammonoosuc River and Main Street Littleton, NH. Badass employee Blake had agreed to batten down the hatches as we escaped to play - perhaps retribution for his upcoming snowboard trip to Jackson Hole. 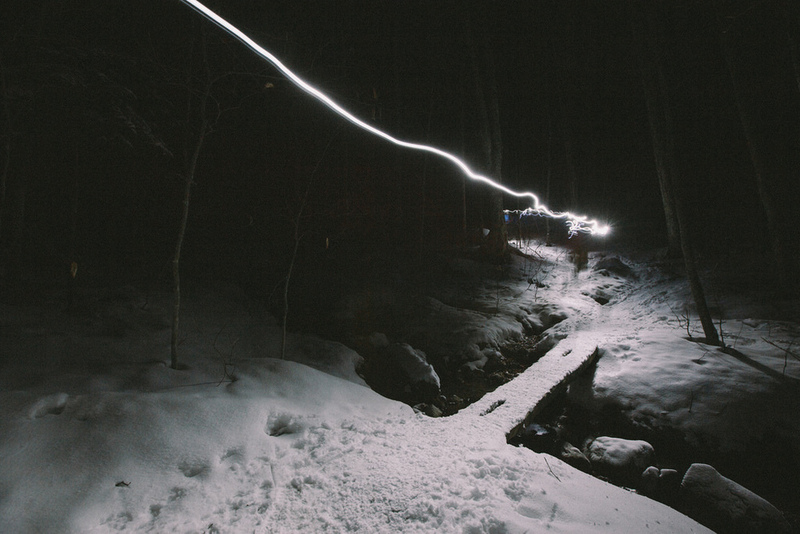 On reaching the trailhead our headlamps were donned, micro-spikes secured and summit beverages buried safely within our packs. Our group of 6 counted off, formed a line and plugged into a polished pace, upward over the mountain. Within the first mile, frosty particulates began to fall and the hope of a moonlit forest all but dwindled. 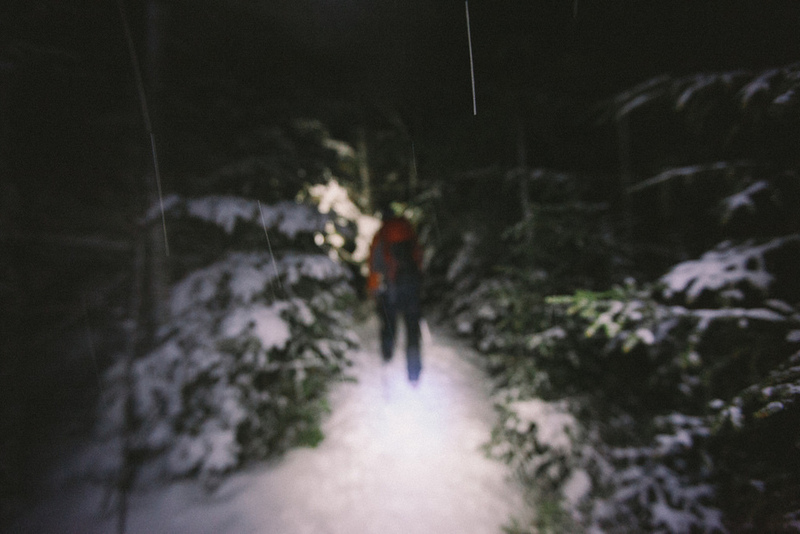 The magic, however, wasn't lost - as we found ourselves within bounds of a hillside snow-globe. Once to the summit, Badass Outdoors owners Matt & Marie pulled out the Jet Boil and prepared the group a boiling batch of homemade, cayenne spiced hot cocoa. Accompanying the warm treat - a naturally chilled growler of Schilling Beer Companies finest. Warm and re-hydrated, we gathered amidst the falling snow over the small town of Lincoln. Join us for next months full-moon hike.